Agriculture is an ever-changing field, with new problems and opportunities popping up to challenge both farm and farmer, and only those with dedication, determination and drive to succeed survive to work their lands and provide the food, fiber and fuel for our state and nation. 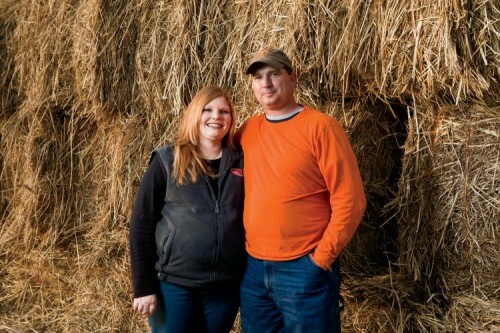 One such story begins with the Barrs on their 500-acre cattle, hay and switchgrass farm. “Agriculture to me is not a job, it’s a lifestyle. 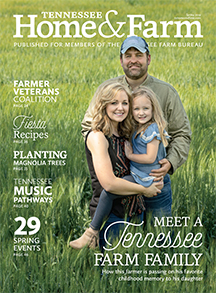 It was a passion from a very early age in my life and I am privileged to have an involvement in it every day,” says Jerry Barr, a farmer at BarrVue Farms in East Tennessee’s Monroe County. Q: How did you know farming was for you? Jerry: The farm life, family and Christian values all were things I knew I wanted from an early age. I may not have known in what aspect, but I knew I wanted to be in agriculture and farming. You hear people say, “It got in my blood.” Well it did, and it’s hard to get rid of it. I wouldn’t have it any other way. Vanessa: My dad grew up on a farm, and even after being away from it for many years, he still has a passion for it. Although I wasn’t raised on a farm myself, he passed down that love of agriculture. Living on a farm is an unbeatable life – you work hard and it’s not always easy, but it’s so rewarding to see the crops come up and heifers grow. Q: How do you care for your animals? It is a privilege to raise animals, and with that privilege comes great responsibility. We take that responsibility seriously and take great care of the heifers on our farm. Every morning, we feed them, watch for any illness and treat as needed. We try to provide the best comfort, whether they are in the barn or out in the pasture under shade trees. We love what we do, and hope we convey that passion and care for our animals and land to those who want to know more about agriculture. Q: How has social media helped you be an advocate for agriculture? Vanessa: Having a respectful discussion through social media channels about agricultural practices allows us to better understand concerns and questions consumers have about food production. It allows us to dispel rumors and inaccuracies, and it allows us to share our way of life with those who don’t get to experience agriculture on a daily basis. We have a Facebook page for our farm, and through it we share what happens on the farm throughout the different seasons. I think being part of the discussion is important so that those not in agriculture can feel more connected to their food supply. It also helps take the mystery away from what a farmer is. Q: Why is agriculture important, not only for Tennessee, but our country? 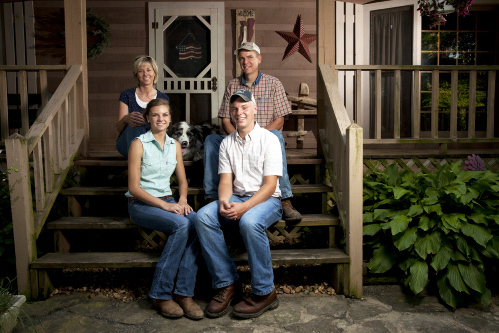 Vanessa: Our farm represents our family’s past, present and, we hope, future. Although it is a business, our farm is so much more – it’s a lifestyle, it’s our home, it’s our passion. Every day we use the products produced on farms throughout the United States from the cotton in our clothes to the paper we write on to the more obvious – food we eat. We cannot go a day without using some kind of agricultural product. It’s an amazing and diverse industry that is a major contributor to our state’s and nation’s economy. Q: Jerry, you had the chance to be the National Young Farmers & Ranchers chair. How did that shape your view of agriculture? Is agriculture still a viable option for young people? The experience I gained by serving as the National YF&R chair made me realize just how big and diverse agriculture really is. There is no one size fits all when it comes to managing your farming operation. There may be people who farm the same commodity as you but do it completely differently. The ability to network with other producers and find out what worked well for them or did not work for them will always help you in your operation when it’s your turn to make the same decision. It also taught me communication skills and the importance of using your voice to promote agriculture to congressmen and other leaders within your state. I do believe farming is a viable option for young people. I think young people need some help getting started though. It is so capital intensive to start into farming from scratch with nothing, that I believe young people need help along the way. This can be done by either working into an operation with a retiring farmer or having someone co-sign loans and help them get their feet wet. It’s tough to start with nothing and absorb the learning curve necessary to have consistent income in agriculture. The mistakes we make now hurt longer and worse than they used to. The margin for error is gone. The opportunity is there for anyone who wants to make agriculture their vocation to be successful but they need help along the way to ensure their time and efforts are fruitful. Q: What was it like growing up on a farm? Jerry: The farming operation I grew up on consisted of a little more than 300 acres where my dad ran a dairy and milked around 110 cows. There were always things to do. I drove my first tractor when I was four, in a field loading hay and cannot remember a time when I wasn’t around the barn doing something. Usually something I should not have been doing like riding the baby calves in their pins like they were rodeo bulls, and yes, I got in big trouble for it, to playing in the creek and eventually to taking on more responsibility as I got older. Our operation today consists of dairy replacement heifers, hay both in small squares and big squares (3x3x8), straw and usually a small amount of wheat for grain. We have switchgrass, which we are growing for the cellulosic ethanol plant located in our county. We also have mini straw and hay bales for fall decorations and pet foods. We own and operate around 550 acres total. 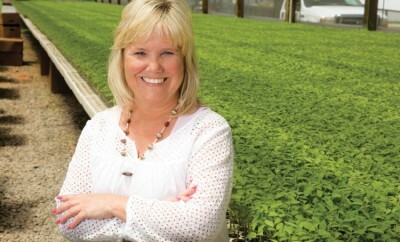 Vanessa: Being part of such a strong family heritage in agriculture is a great feeling. I can see the passion for agriculture that Jerry’s dad and granddad passed on to him. 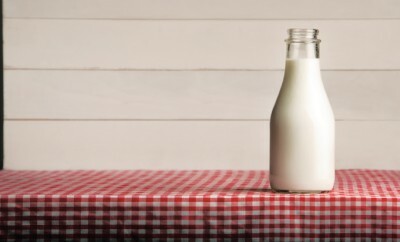 Q: You’ve gotten pretty creative in some of your farming products in recent years. Why is diversifying important in today’s ag world? The agriculture world we are involved in today is a global industry. There are more drastic price swings of commodities than ever before. The more diverse you can be to spread your risk over a variety of products the greater your chances are of weathering the price swings. However, I think you need diversity without distraction. There are opportunities to expand your enterprise without a major capital investment or a complete shift in direction of your current operation, and those are the ones I am willing to look into. Barr bales mini straw, and hay bales and switchgrass both fit the current direction of our farming operation because we already had the hay and straw for the mini bales and the equipment to grow and harvest the switchgrass.